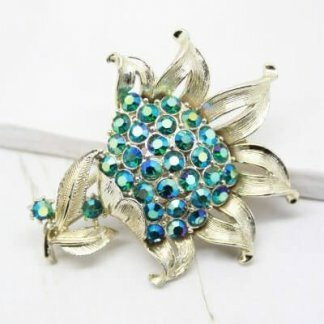 Description: I just adore this brooch, it has everything that I love. Purple; Aurora Borealis crystals; Enamel, and it’s original late 1950s early 1960s vintage. 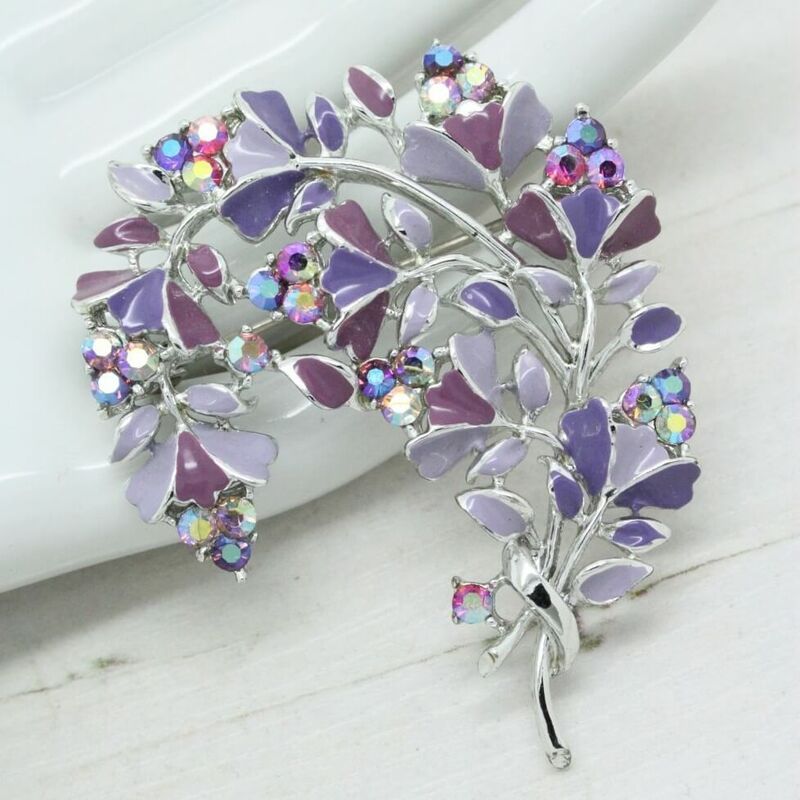 This beautiful brooch features hand laid cold enamel in purple and lilac in a floral design, adorned with 26 brilliant shimmering AB crystals, in a shiny silver plated setting. 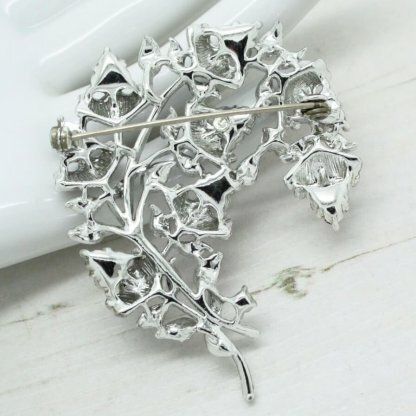 Measuring 5.8cm at longest point, this brooch is in lovely condition showing slight to no wear. It appears unworn. Marked with a Copyright symbol © which indicates a Jewelcraft / Coro design – No other markings are visible. 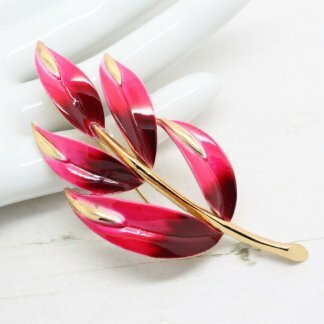 It’s pretty colours, bright stones and shiny clean setting make this a vintage jewellery must have. 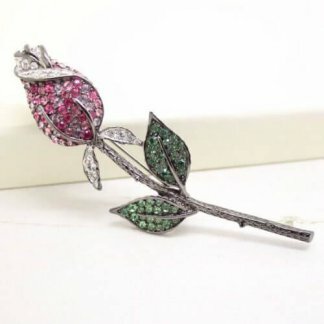 Wear with any outfit for added sparkle.